WHAT: The casual games business unit for digital entertainment services company RealNetworks®, Inc. is announcing the availability of "Pharaoh's Secret" on RealArcade.com. 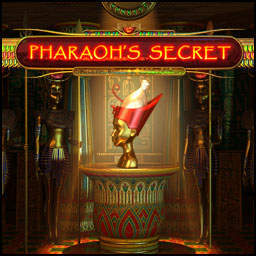 From the creators of "Da Vinci's Secret," "Pharaoh's Secret" is developed by Thunderstorm Games and published by Real. In this captivating puzzle game, casual gamers will explore the tombs of the Pharaohs and hunt for artifacts that reveal an ancient secret. Featuring 100 challenging levels, six upgradeable power ups and seven unique mini games, players join Daniel and Professor Crouford to solve brain-bending puzzles and decipher long lost clues as they embark on an amazing journey to uncover the ancient "Pharaoh's Secret." Casual games are simple to learn but often difficult to master. Fans of casual games enjoy the quick-play format that fits easily into busy schedules, providing a method to relax, recharge or simply pass the time with an entertaining challenge. Real strives to incorporate simple game play, intriguing challenges, unique story lines and visually stunning graphics into each new game. WHEN: "Pharaoh's Secret" is available for download now. WHO: Real is one of the world's largest developers, publishers and distributors of casual games with an expansive global reach through its RealNetworks family of international games portals and syndication network. As a leading global publisher, Real offers game developers the opportunity to tap into its network of Web sites, global distribution partners and expertise in games marketing. RealNetworks, Inc. delivers digital entertainment services to consumers via PC, portable music player, home entertainment system or mobile phone. Real created the streaming media category in 1995 and has continued to lead the market with pioneering products and services, including: RealPlayer®, the first mainstream media player to enable one-click downloading and recording of Internet video; the award-winning Rhapsody® digital music service, which delivers more than 1 billion songs per year; RealArcade, one of the largest casual games destinations on the Web; and a variety of mobile entertainment services, such as ringback tones, offered to consumers through leading wireless carriers around the world. RealNetworks' corporate information is located at www.realnetworks.com/company. RealNetworks, GameHouse, RealArcade, Rhapsody and RealPlayer are registered trademarks of RealNetworks, Inc. or its wholly owned subsidiary. All other trademarks, names of actual companies and products mentioned herein are the property of their respective owners. About this company RealNetworks, Inc.